The Graduate Bulletin is the most current information available about graduate programs at University of Wisconsin-Stout. Information regarding fees, admission, graduation requirements, names, telephone numbers, and course offerings, is subject to change. 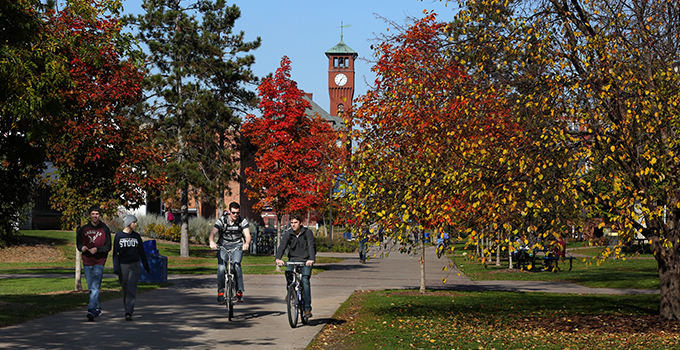 UW-Stout is accredited by the North Central Association of Colleges and Secondary Schools. Individual academic programs may also receive accreditation from other agencies. Learn more on the Curriculum website. The University of Wisconsin Stout is registered as a public institution with the Minnesota Office of Higher Education pursuant to sections 136A.61 to 136A.71. Registration is not an endorsement of the institution. Credits earned at the institution may not transfer to all other institutions.